Grand Rapids Toyota drivers rely on Ervine’s Auto Repair & Grand Rapids Hybrid when they’re searching for expert auto mechanics to perform first-rate auto repairs. We’re not like one of those factory-style shops that just treats you like a number and wants you in and out. Our customers mean the world to us and often feel like part of our extended family. 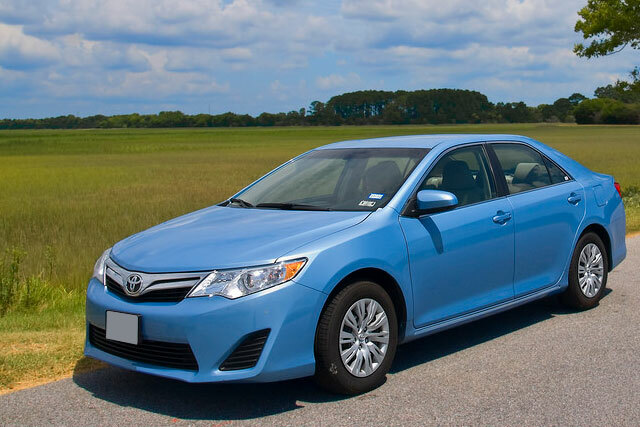 Our goal is to give you comfort knowing that you’re back on the road in a Toyota that is in great condition. The auto mechanics at Ervine’s Auto Repair & Grand Rapids Hybrid are the black belts of ASE Certification so you can be certain that your Toyota is in good hands. Each technician is an ASE-Certified Master L1 tech; owner Eric Carlson is a Master L3 technician. He is the specialist for hybrid vehicles. Ervine’s Auto Repair & Grand Rapids Hybrid is also an ASE Blue Seal Shop of Excellence. As you can see we’re ready, willing, and able to provide top-of-the-line auto repair services on your Toyota. The team at Ervine’s Auto Repair & Grand Rapids Hybrid looks forward to providing your Toyota with first-rate auto repair services. Our expert auto mechanics are ready, willing, and able to provide first-rate services that will keep your car healthy and you safe on the roads. Your Toyota will be in the hands of some of the best in the region so expect top quality services across the board. Schedule an appointment today and you can find us at 4311 Stafford SW, Grand Rapids, Michigan 49548. We’re open Monday - Friday from 8:00 AM - 5:00 PM. See you soon!